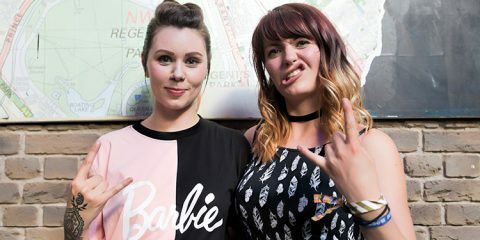 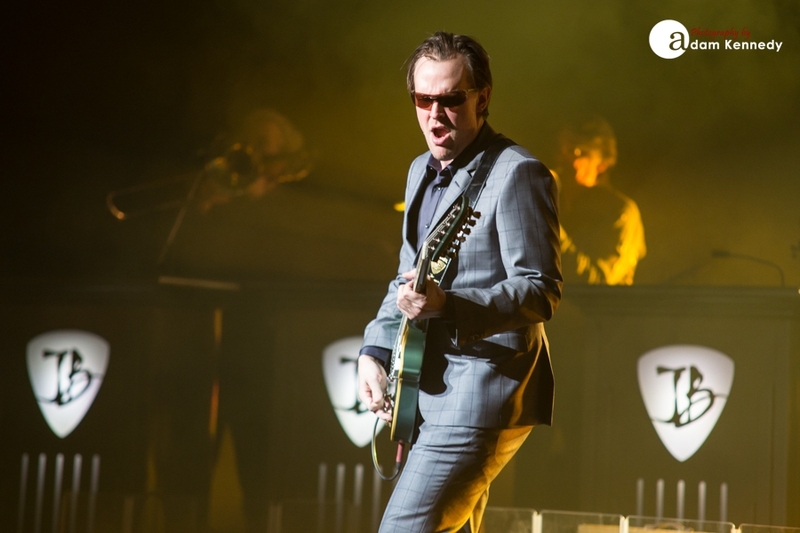 Hammersmith Odeon has become synonymous with rock n’ roll over the years. 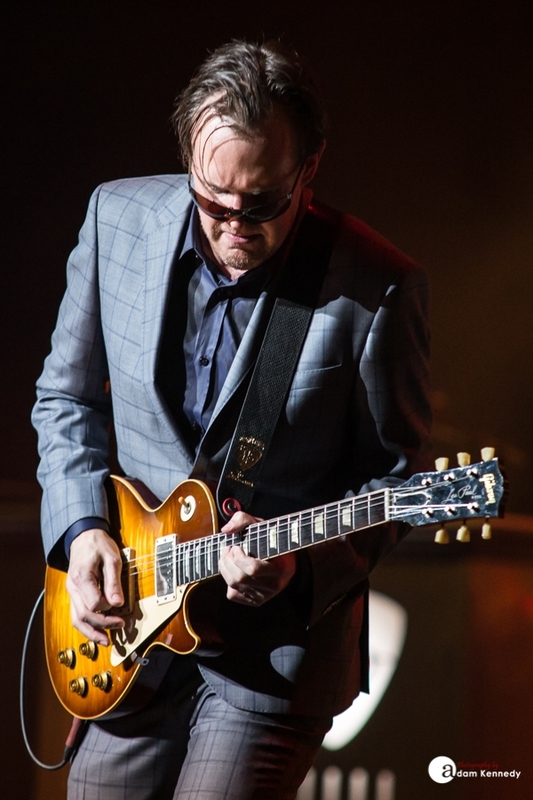 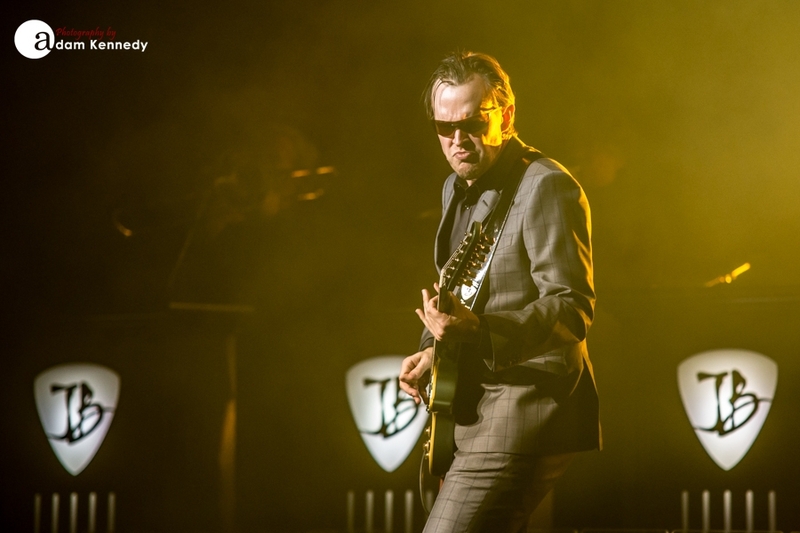 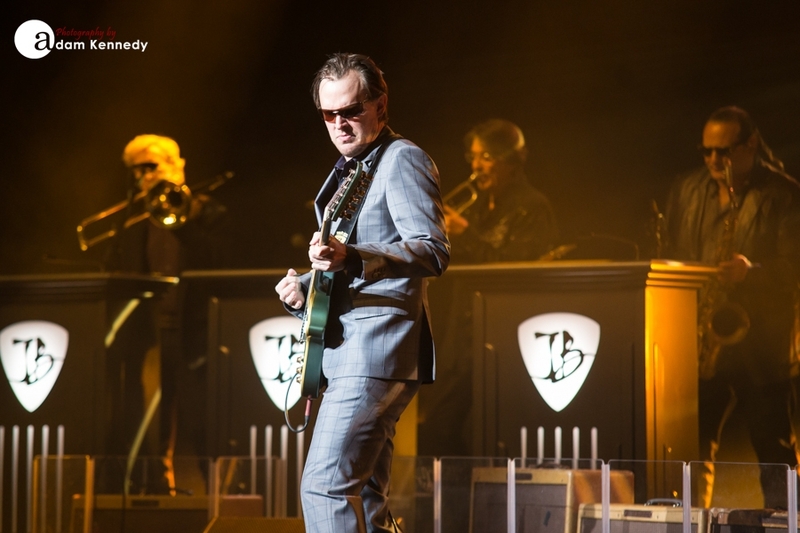 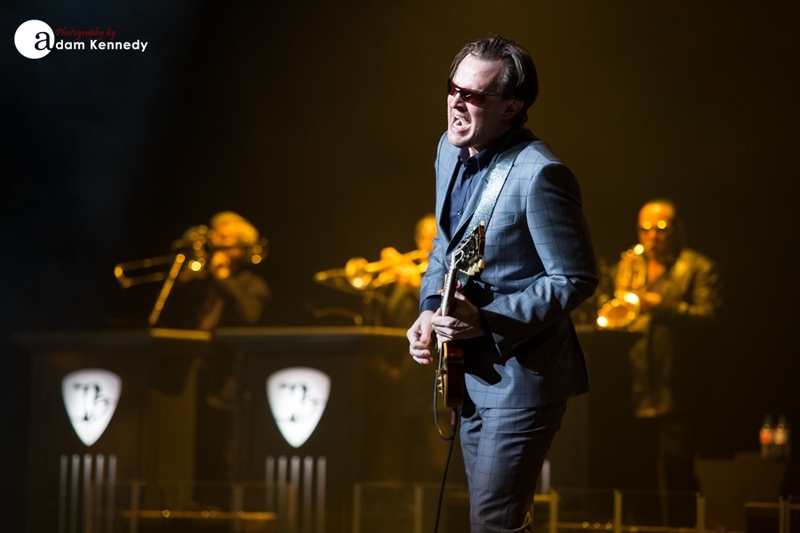 “The Guitar Event of the Year” Joe Bonamassa graced the stage for a four night run in the capital. 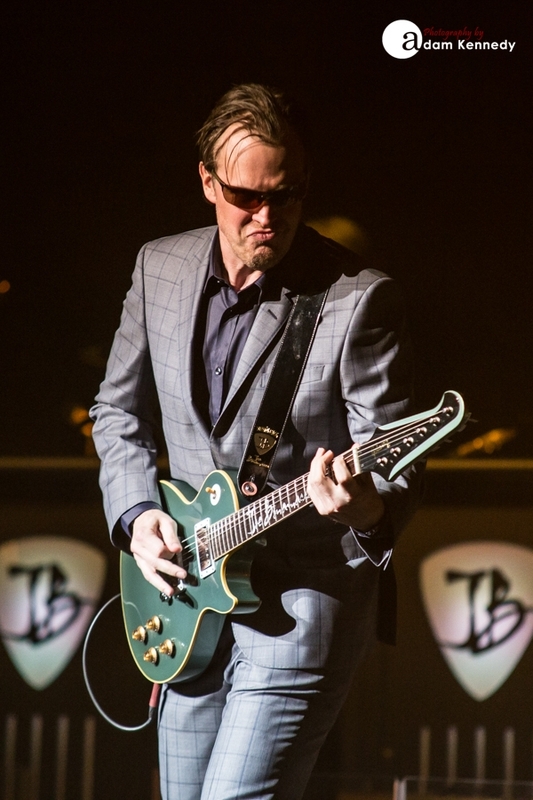 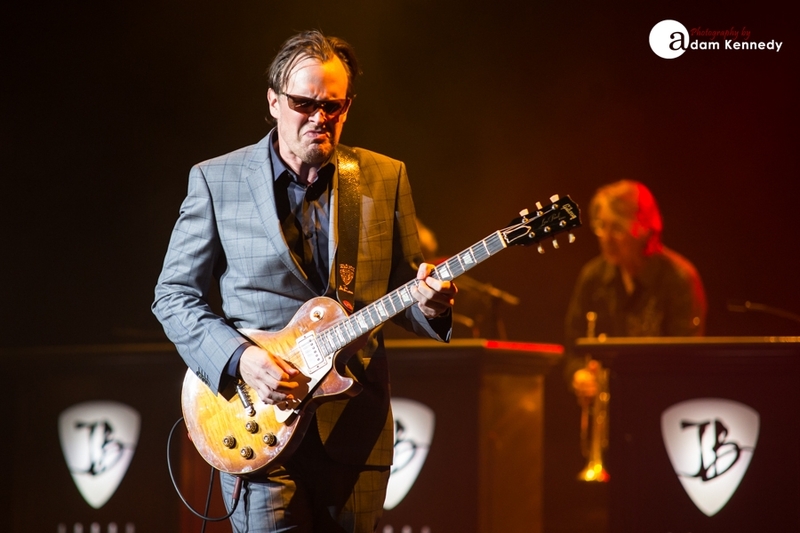 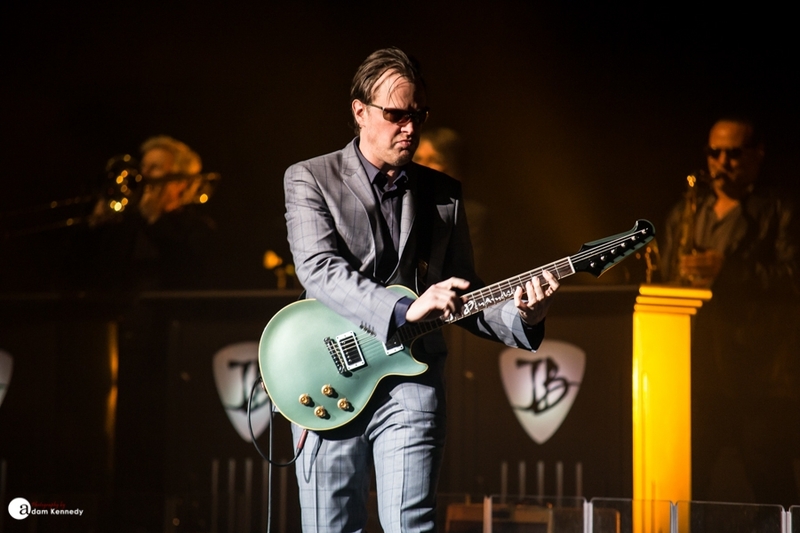 Having been typecast over the years as a straight up blues artist, Joe Bonamassa on this outing showcases the diversity of his sound, playing and incredible songwriting. 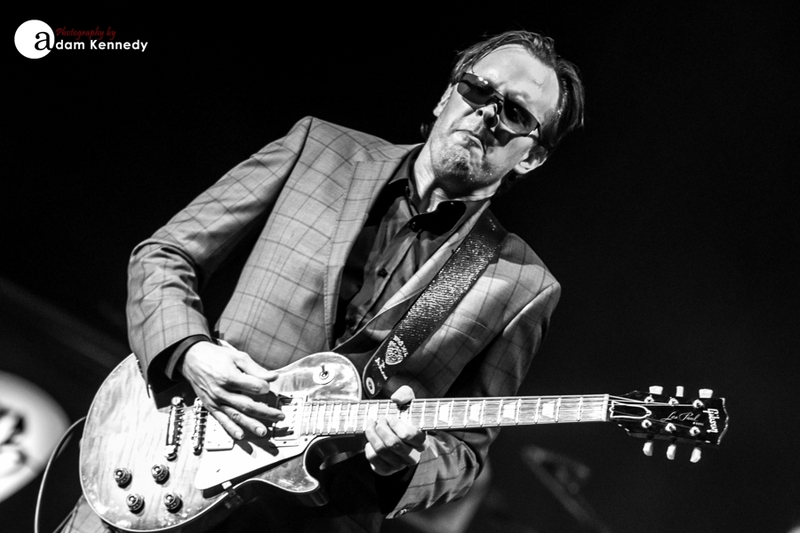 Of course, the blues essence is still there, but what we hear this time are some more funkier and soulful elements, which have largely been made possible by the superb group of musicians around Joe who all add to his masterful playing. 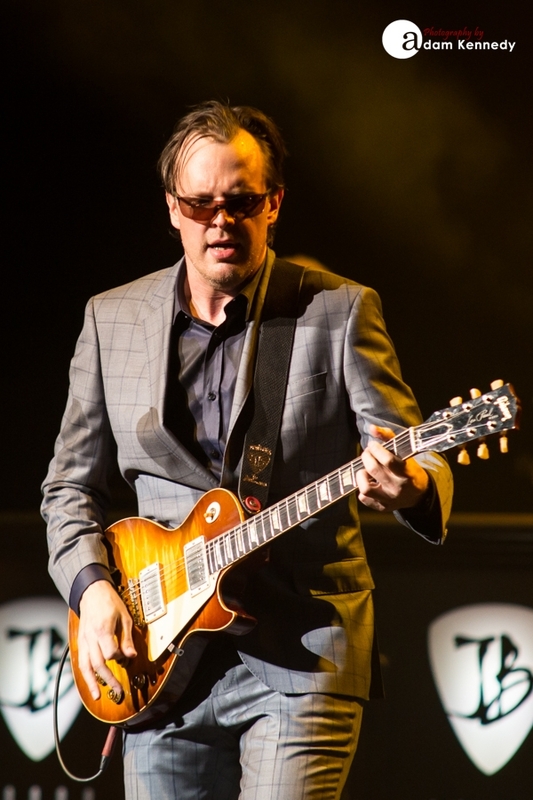 Bonamassa has with him in tow a seven piece band including Reese Wynans on piano/hammond, who is soon to be inducted into the Rock n’ Roll Hall of Fame as part of Stevie Ray Vaughan’s Double Trouble. 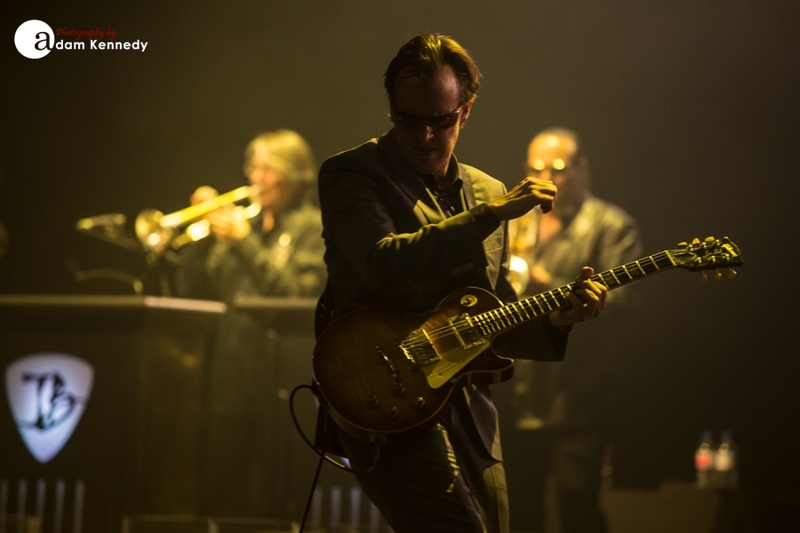 The band’s format closely resembles that seen as part of Joe’s “Muddy Wolf Band” and comes complete with a percussionist Daniel Sadownick and a rather talented horn section but with the absence the second guitarist spot which was taken by Kirk Fletcher during the Muddy Wolf Band tour. 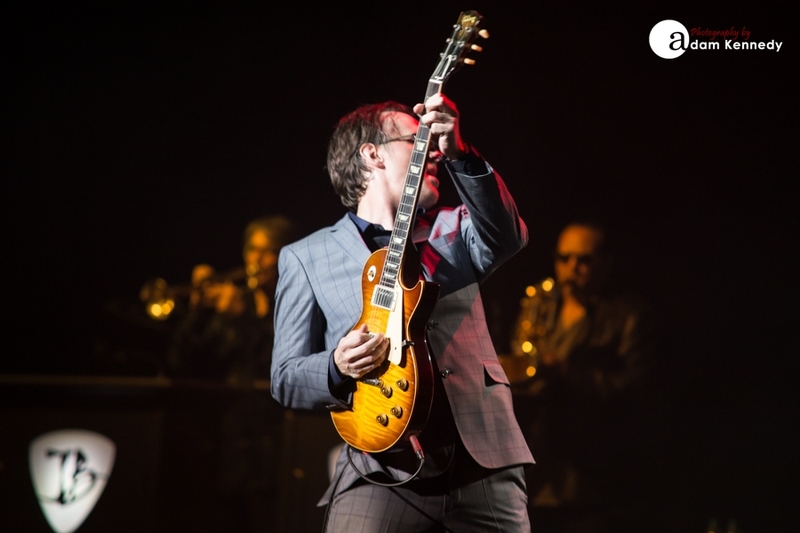 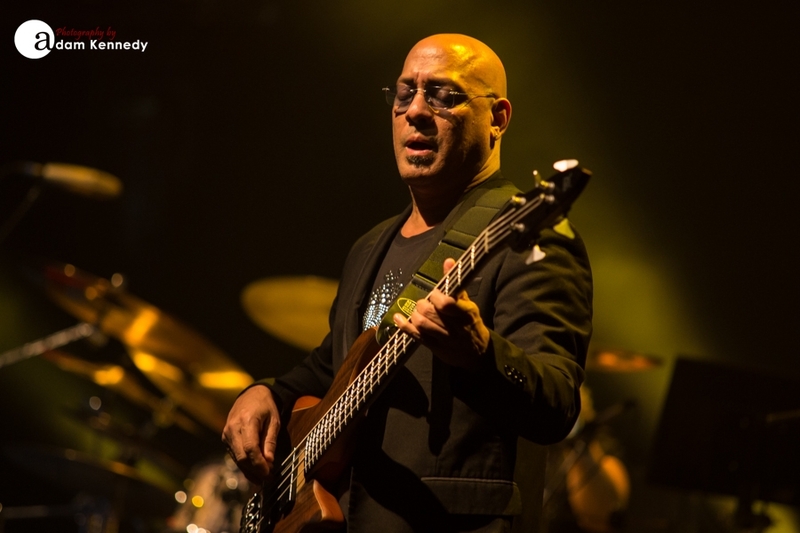 At the heart of the band is Bonamassa’s long time bass player Carmine Rojas and powerhouse drummer Tal Bergman. 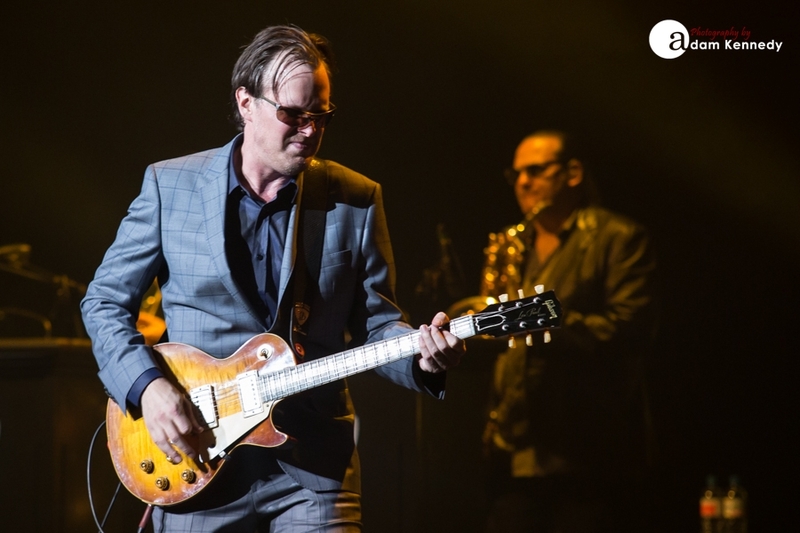 The set is oozing with captivating solos, as the audience would want and expect. 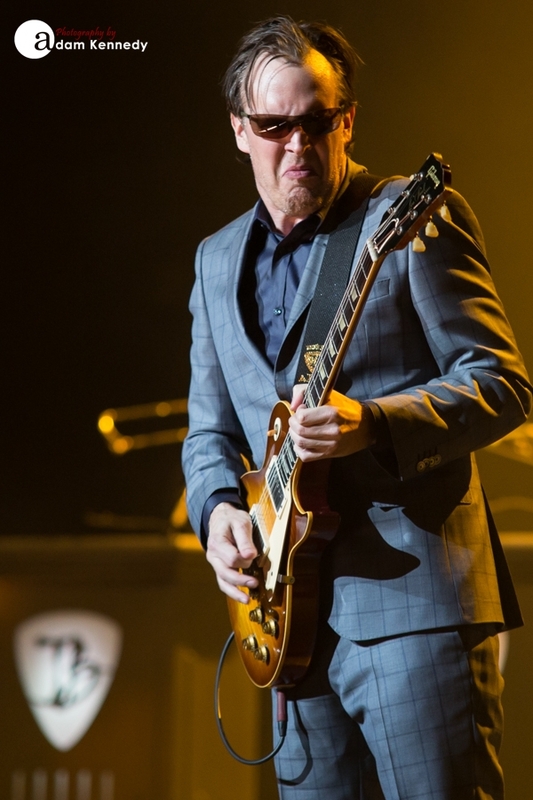 Joe’s tone, control, and appreciation of space is second to none. 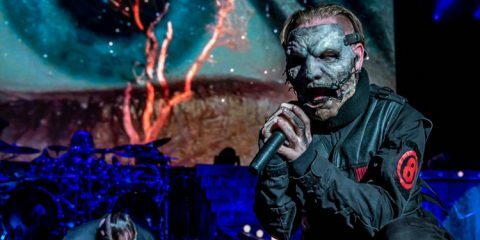 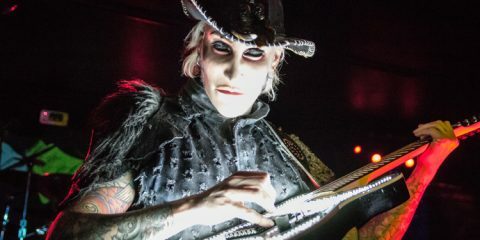 However, what is noticeable is that all of the band get their moment to shine, and they gel together so well. 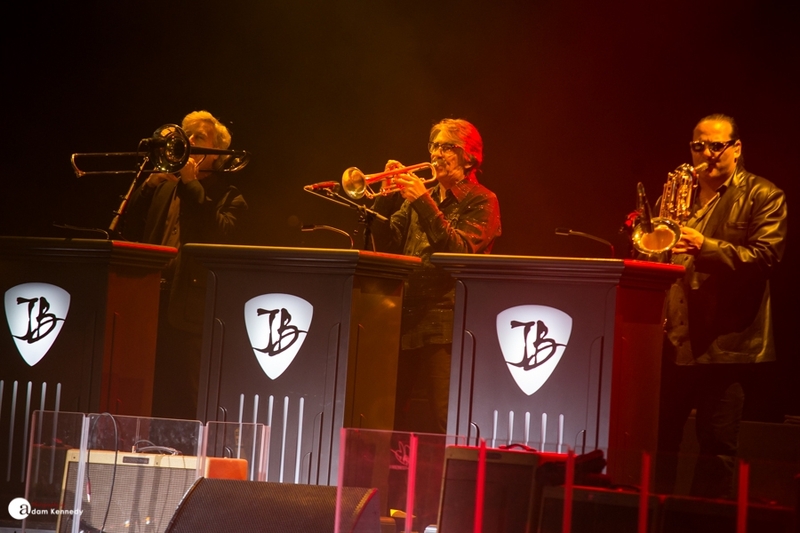 Bergman and Sadownick sounding phenomenal playing synchronously during “One Less Cross To Bear.” There is also a very obvious chemistry between Bonamassa and Wynans. 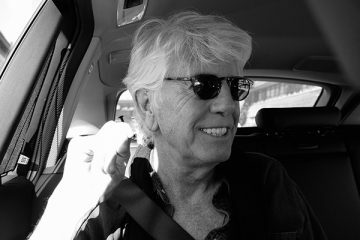 Joe’s set is largely centered around his last studio album Different Shades of Blue including the likes of “Oh Beautiful,” which is nicely interspersed with “Django.” “Trouble Town” with it’s southern rock slide intro, soulful yet funky blues rock infused with some incredible Hammond licks from Wynans and percussion solo by Sadownick. 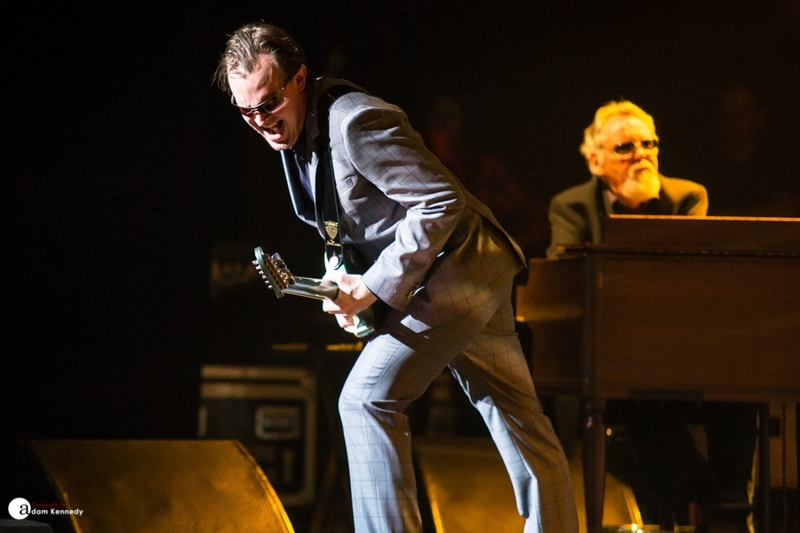 “Love Ain’t A Love Song” is pure blues rock heaven. 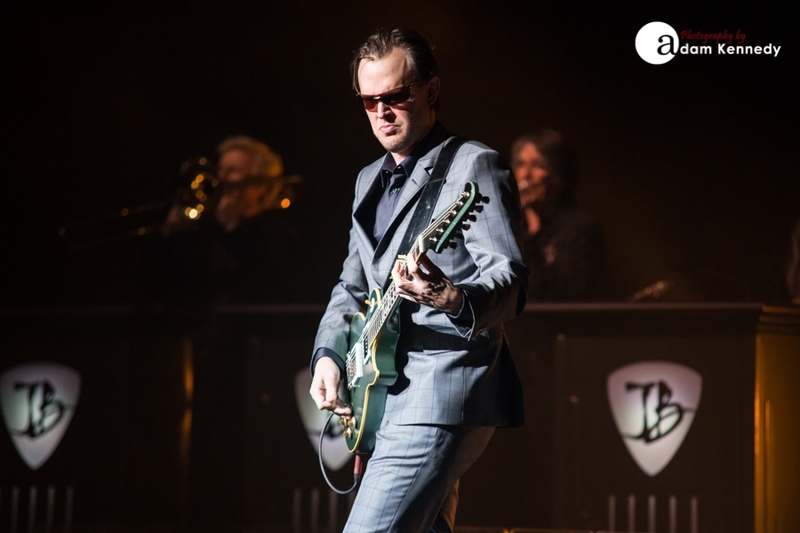 Joe slows it down with the heartfelt “So, What Would I Do,” and a superb intro from Wynan’s during which if you closed your eyes for a moment you would think you were in a New York Piano bar rather than Hammersmith Apollo. 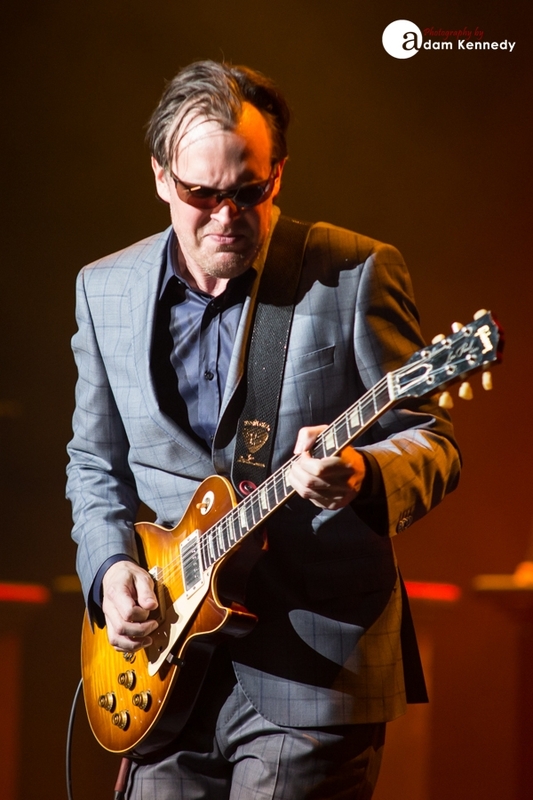 The set also featured covers from Joe’s recent “Muddy Wolf” release including the likes of “Double Trouble” and “Hidden Charms.” An epic cover of “Look Over Yonders Wall,” again showed that it’s not all about the blues, with what seemed like some subtly infused jazz elements into the mix. 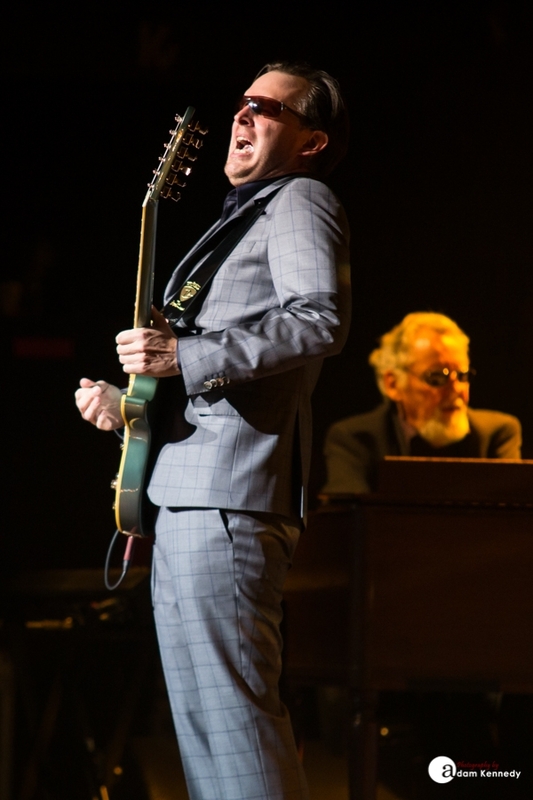 Joe brought his main set to a close with stunning renditions of classics “Sloe Gin” and “The Ballad of John Henry,” before leaving the stage to a standing ovation. 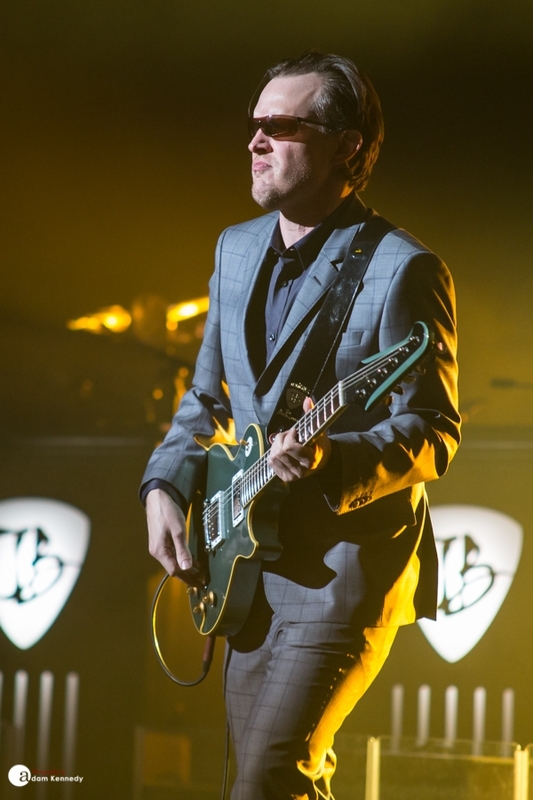 The evening is brought to a close with the welcome addition of Bernie Marsden, who joined the stage for a cover of “All Aboard” by Muddy Waters, much to the pleasing of the audience. 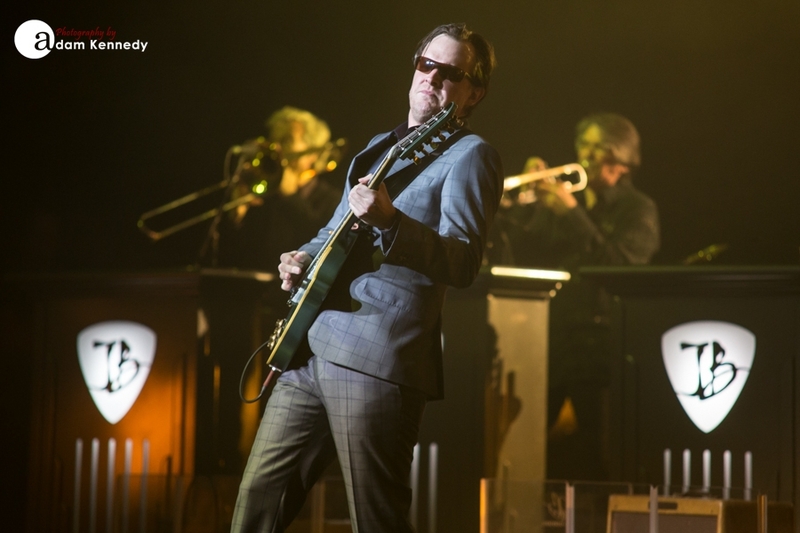 Bonamassa, Marsden and Wynans each taking the spotlight as part of an impromptu jam. 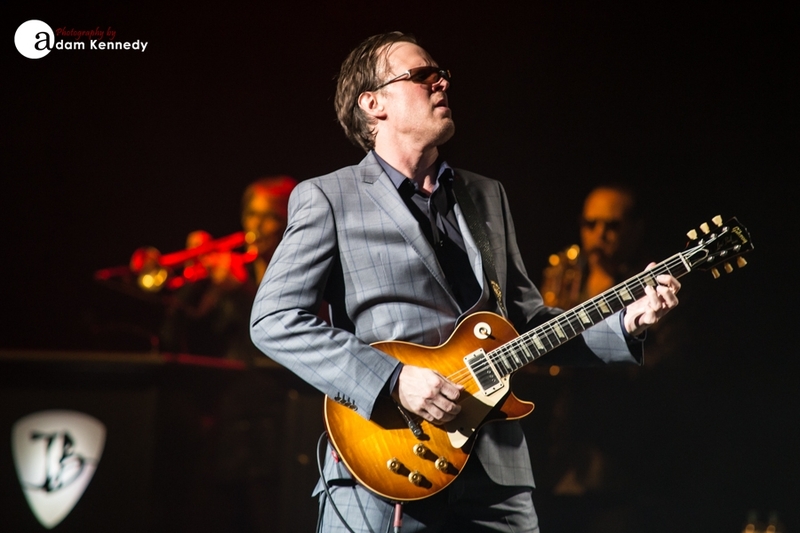 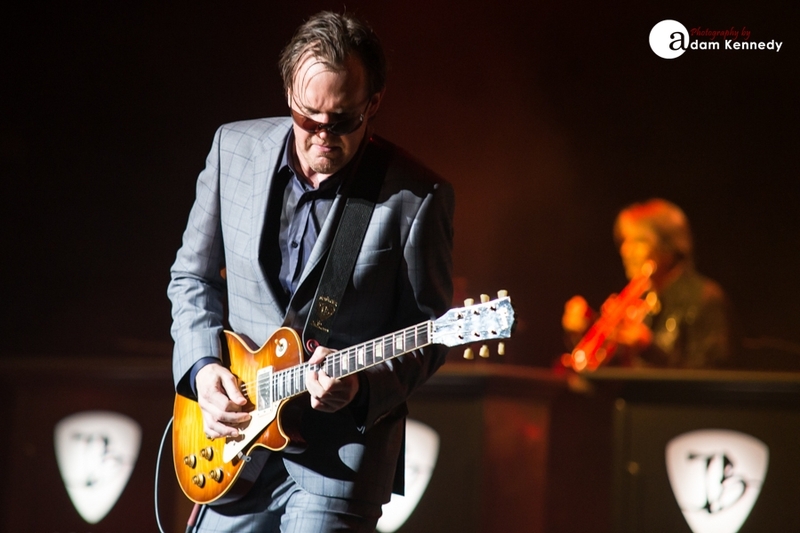 Bonamassa is in the form of his life, he returns to the UK later this year for an extensive arena tour.